Registration is handled by Eventbrite, with payment by Paypal, which also accepts credit cards. If you are not already a MAANZ member you may want to join first to take advantage of reduced rates. You must buy a registration (early bird discounts apply up to 2nd April) to attend the workshops or buy an exhibitors place in the mosaic salon. Note that your registration includes the Saturday night dinner, the National opening and attending the salon. You only need Guest tickets to those events if you are bringing somebody who has not registered. Before you register, please read all the information about the workshops you are interested in, and ensure there are no timetable clashes. Also pleas note our policies on cancellations and workshop swapping outlined below. 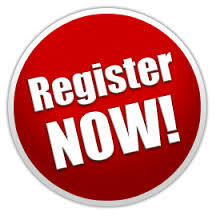 If you have already registered and wish to add some items, such as a workshop, guest ticket to an event or a tour, just click Register again. This will open up the Eventbrite shopping cart, click register, and you can then buy your extra items. You can also see at this point what has sold out and which events have places remaining. Your new purchases will automatically be added to your original registration, but it does this behind the scenes. Workshop swapping – Allowable up to 1st July with a $20 admin fee. Contact treasurer@maanz.org to arrange this. No workshop swapping after 1st July.